Five years ago, Laguna Niguel resident Will Schmidt considered taking his own life. After a long battle with depression and anxiety, his struggle reached the point where he decided suicide might be the only way to end his misery. While pensively standing in his bedroom, the former U.S. Marine got an unexpected call from his mother. She told him she “sensed something was wrong.” She feared he wouldn’t make it through the day and advised him to go out paddling on the water because it had always made him happy in the past. That marked the beginning of Schmidt’s remarkable journey. 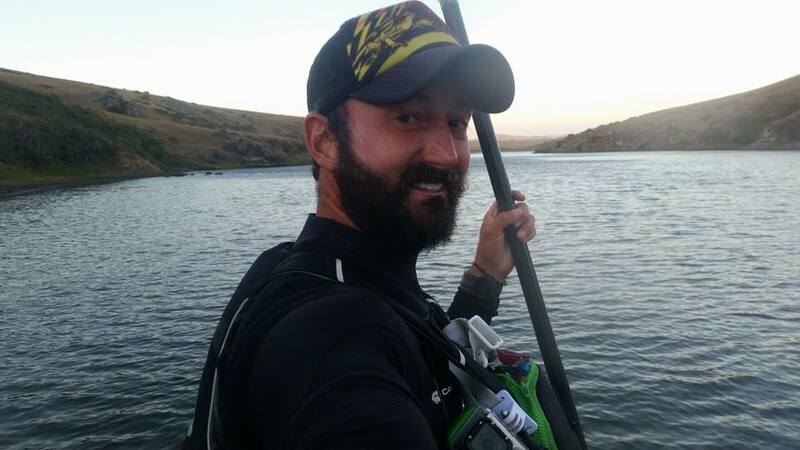 Shortly afterward, in 2012, he began stand-up paddleboarding long distances in order to raise money for the Wounded Warriors Project, an organization that assists combat veterans suffering from injuries and mental illnesses. On the first of Schmidt’s long distance solo treks, he paddled from Dana Point Harbor to Catalina Island. Next, he paddled across all of the Channel Islands, landing on each of the eight islands in the process. And in his latest feat, Schmidt traveled 1,386 miles unassisted from the Canadian border down to Mexico. He began this epic trip on May 24 at the Washington side of the Strait of Juan de Fuca near Canada. Before reaching Border Field State Park at the U.S.-Mexico Border on July 26, Schmidt made many stops on land to rest. One of those stops included Dana Point and he hugged the coastline of San Clemente as he headed south. The trip lasted 61 days in its entirety, with Schmidt stopping for only three complete days of rest in between. For 58 days, six- to eight-hours per day, Schmidt paddled his way down the West Coast. He estimates he made roughly 1.25 million paddle strokes and burned an average of 3,850 calories per day, causing him to lose more than 20 pounds by the end of the trip. He also suffered blisters all over his hands, two broken toes and lost two fingernails. Despite all of the physical challenges of the trip, Schmidt maintained that the hardest part of completing the journey had little to do with his body. During his time on the water, there was rarely a moment when he was far from danger. The furthest Schmidt ever distanced himself from the shoreline was 12 miles. On average, he stayed one to two miles away from the coastline. During his stops, Schmidt would either sleep on the beach, in a sea cave or in a hotel room. One night he washed up on a private beach house in Smith River, California. Schmidt told the residents what he was doing. They were so impressed they allowed him to stay in their guesthouse. 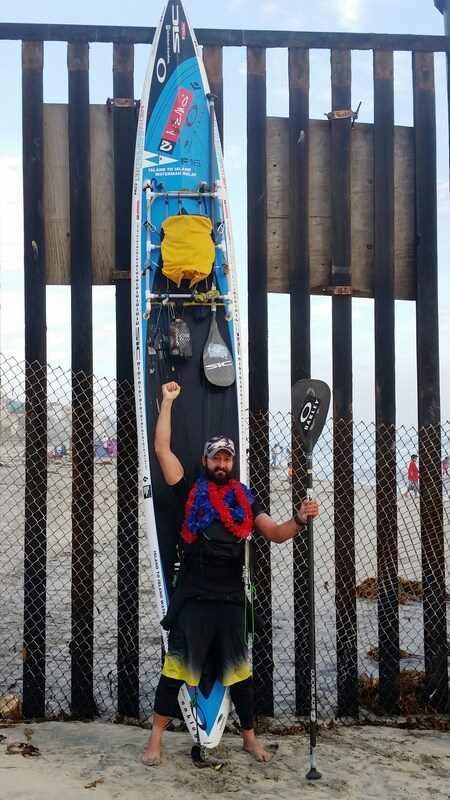 As for the future, Schmidt said he’s not sure what task he’s looking to take on next, but he said he wants to continue spreading awareness and helping the Wounded Warriors Project by paddling long distances. For more information about Schmidt’s stand-up paddling, visit www.areyouinspiredyet.com.